We wanted to love this larger town known as a surf mecca, but ultimately we did not. That likely had to do with our expectations inasmuch as we are not surfers and the location of our Airbnb which required a drive to get into town. Nonetheless, we still had plenty of enjoyable moments. A fun coffee spot within walking distance of a world famous surf break. We planted ourselves here on the regular because of the reliable internet service. A little out of the way, tucked into a row of local clothing, goods, and eatery businesses, this was our favorite spot for food. Excellent fresh dishes we kept going back for. The world needs more wine places like this! 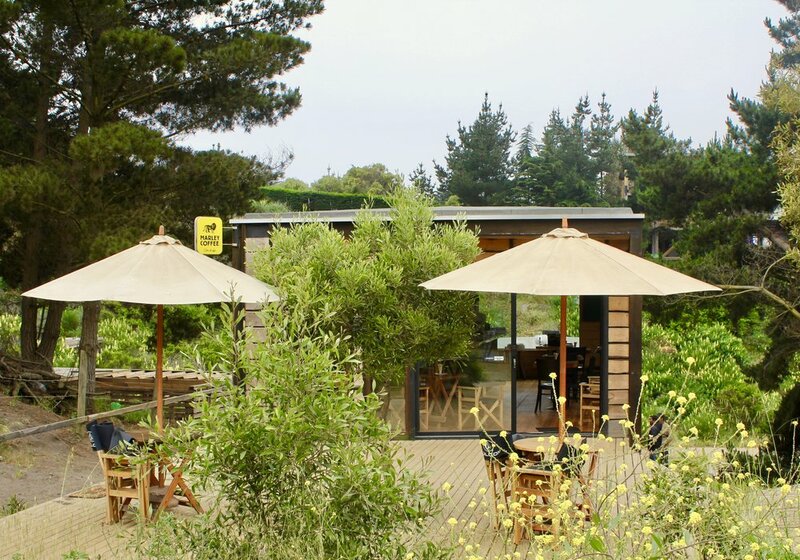 Conveniently located on Pichilemu's main street, wine is sold for take away or to open there. A nice, well curated selection of wines and friendly staff.